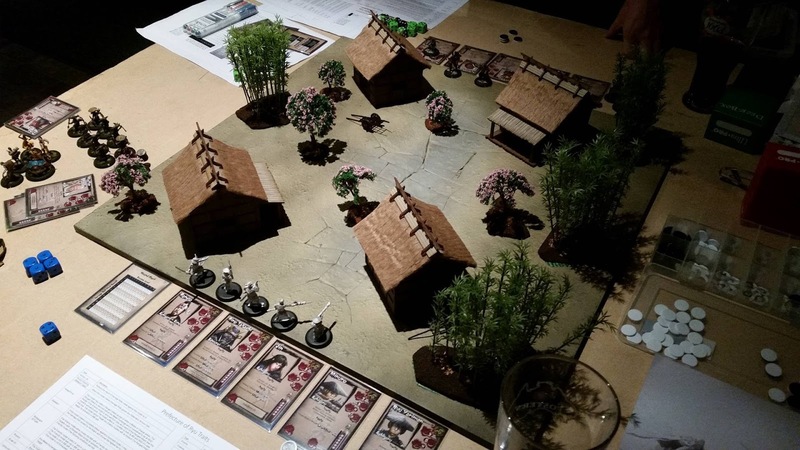 Dundee Wargames Club - Bushido : First Game, First Impressions! So last night I had my first game of Bushido at Dundee Wargames against John Sinclair who ran me through the basics of how to play! I was genuinely surprised just how much I enjoyed the game once I got to grips with the basics and realised how tactically involved the game play was. We opted to keep things very simple for the purposes of learning the basics of movement and combat so we only used the starter sets from Tengu and the Ryu. The game was a straight up kill your opponent and take the glory. Ryu moving up, Minuro takes a shot and does 5 damage to Kotenbo! Due to some very nice rolling on my part (for once), the Tengu were wiped out and I lost a Nameless Yari. 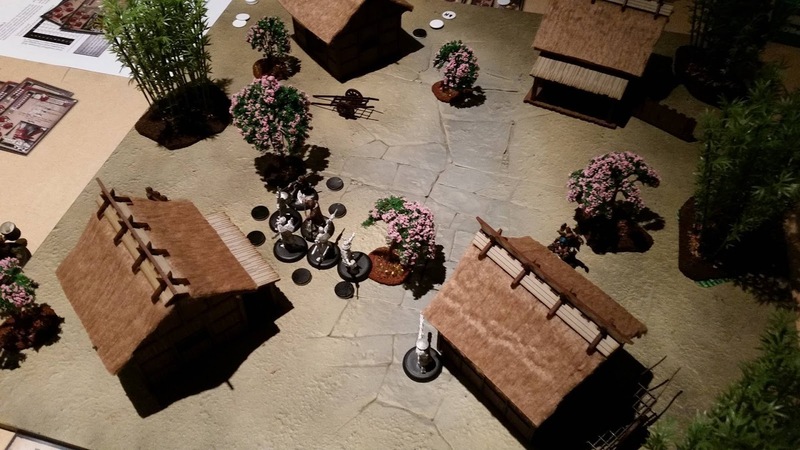 Great introduction game from John who helped me out A LOT and was learning the ropes with his stunning new warband. The Game as a whole is great. Considering we had 5 characters each on a 2x2, it felt huge and was a lot of fun. It’s very tactically orientated in the sense of who to activate and when, watching you don’t get out numbered or worse exhausted too quickly. 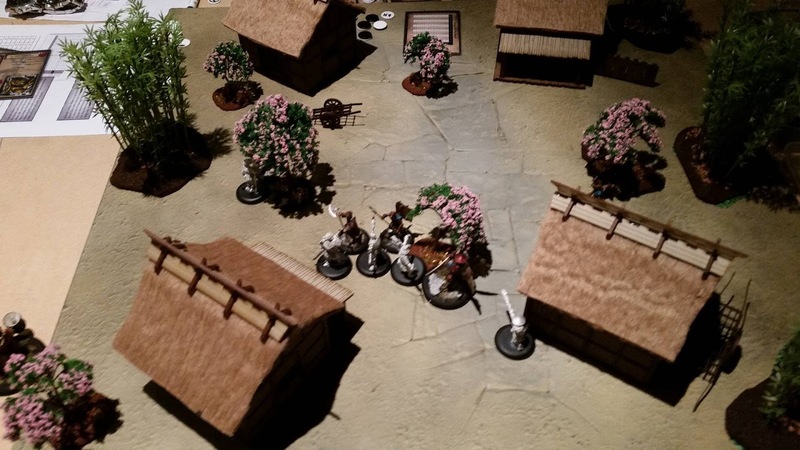 Ki management is also crucial as I discovered with my Samurai who cleaved some poor sod in two. But the best bit is melee attacking for me. When you attack, you roll however many dice your character has minus or plus modifiers. 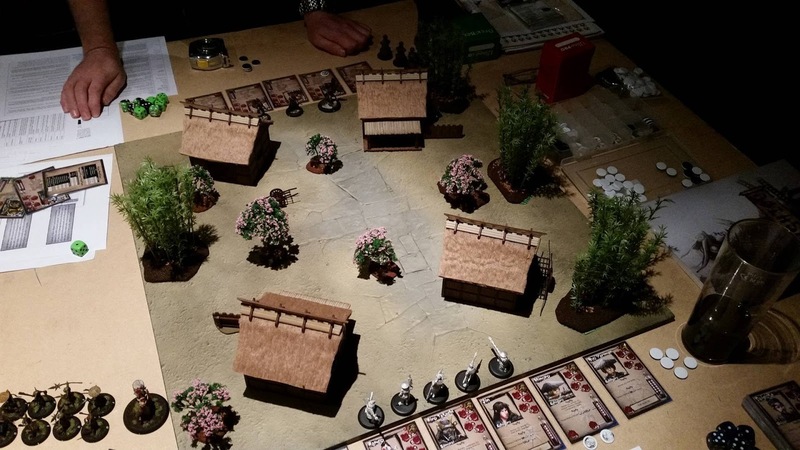 But before rolling, you allocate that amount of dice to Attack or Defence as your opponent is also attacking/defending against you. So if you go all out and roll 3 attack and he rolls 2 defence and 1 attack, they can still defend your attack and then score an undefended attack against you! Really nice mechanic there. 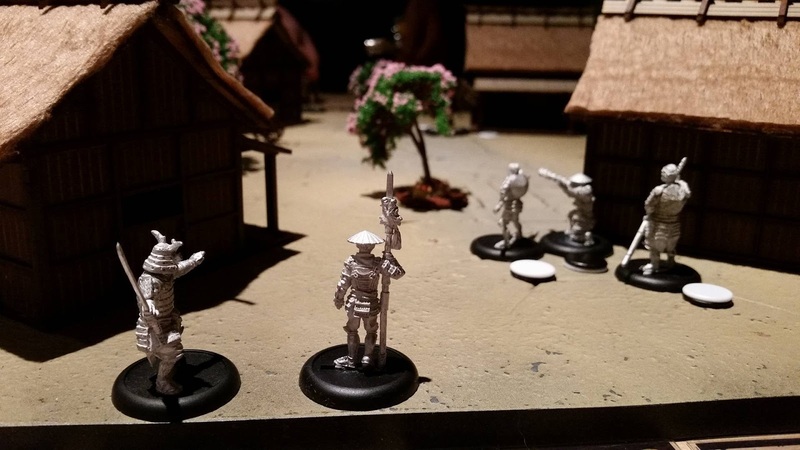 Bushido is very daunting to begin with. Lots to learn throughout, especially synergy between models, but once you get in to it... it's brilliant and really good fun. So overall I had a great nights gaming and I'm looking to get cracking on the painting soon! Thanks for reading and thanks to John for teaching me Bushido!